“HNNS” is the Top Brand Shop for GAME OW Cosplay Cloth,Outfit,Mask,Wig,and Accessories. We aims to realize your game cosplay dream in novel world at your acceptable cost. 1. 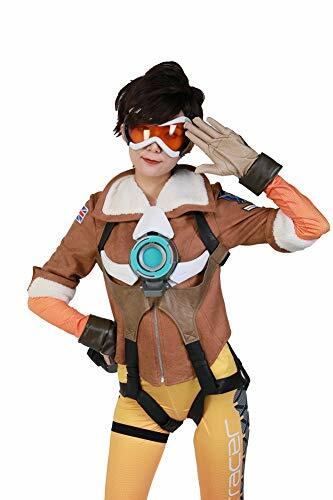 2018 New Design for Hot Game Overwatch Tracer Lena Oxton Hero Cosplay Costume. 2. Super Quality PU Leather and Cloth,mostly closed to the original character. 3. Anime Cosplay: Great Gift Choice for Jack Morrison Fans/Lovers Cosplay & Collections. 4. Ocassions: Christmas/Halloween/New Year Cosplay Party,Masquerade Dress Up,Mardi Gras/Carnival Party,Comic-con,Anime party. ▶If you have any problem,please contact us.We are glad to communicate with you.